Benicia, Calif. (June, 2017) – Based on our work with the powersports industry's best tuners, engine builders and race teams, Red Line Synthetic Oil now offers a series of motor oils, gear oils and a lube kit for some of the most popular powersports applications in the marketplace. 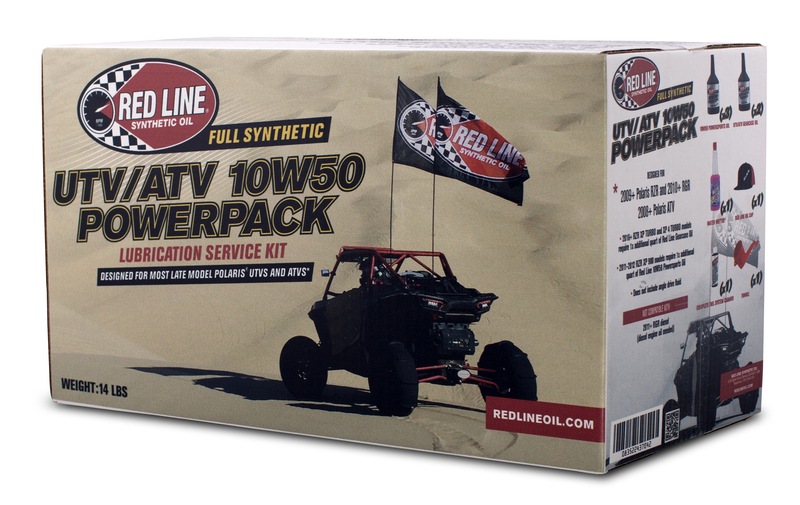 Red Line launched its 10W50 Powersports Motor Oil and new UTV/ATV Gearcase Oil, both available separately and as part of our new UTV/ATV 10W50 PowerPacktm designed for select late model Polaris® vehicles. 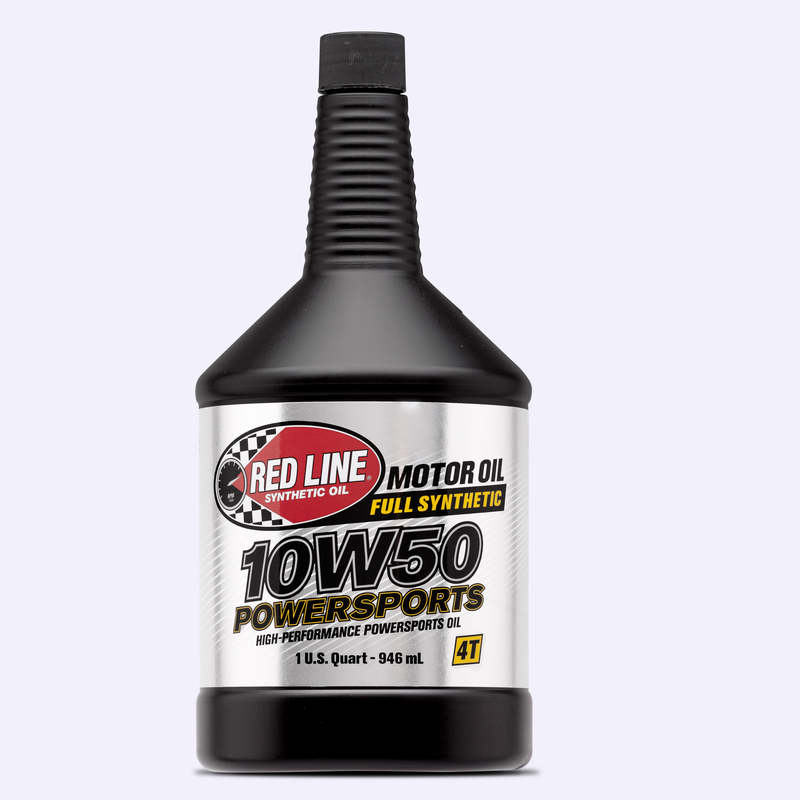 Red Line 10W50 Powersports Motor Oil (PN 42604, MSRP $15.95) is an ester-based lubricant that offers wear protection, ring seal, cleanliness and drain interval that is unprecedented in the UTV segment. Designed for use in applications like Polaris RZR® and RGR® models, which require a lubricant that assists with operation in a wide range of conditions, offering all of the protection Red Line customers expect. 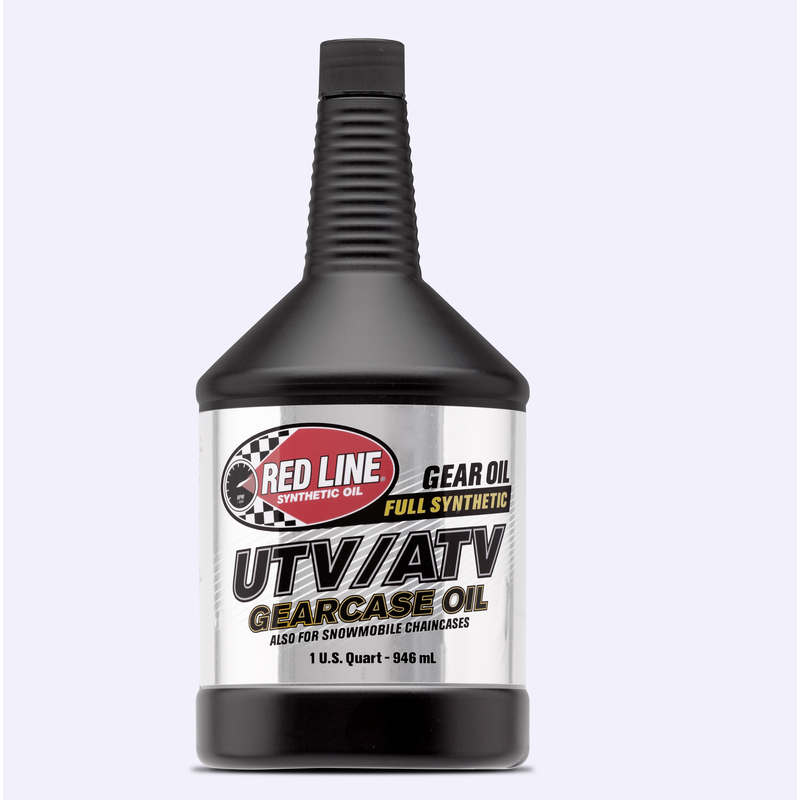 For the segment’s specific transmissions and differentials, Red Line also launched its new ester-based UTV/ATV Gearcase Oil (PN 43704, MSRP $16.95), a 75W80 GL-4 gear oil that resists breakdown for extended periods of demanding operation in variable temperatures. For most Polaris Ranger®, RZR® and ATVs, as well as Arctic Cat®, Polaris® and Yamaha® Snowmobile chaincases, this product is less slippery for improved coefficient of friction on clutch plates. The UTV/ATV 10W50 PowerPack tm (PN 90220, MSRP $109.95) is a lubricant service kit that features three quarts of the new 10W50 motor oil, two quarts of the Gearcase product, as well as a bottle of Red Line’s Complete Fuel System Cleaner for Powersports, Water Wetter, a funnel and Red Line hat.